Generally I would never write something about a horrible person dying unless it was a dictator an entire nation had prayed to pass on. I consider it bad form to dance on someone’s grave … plus, if it’s rained recently, you’d ruin your shoes. 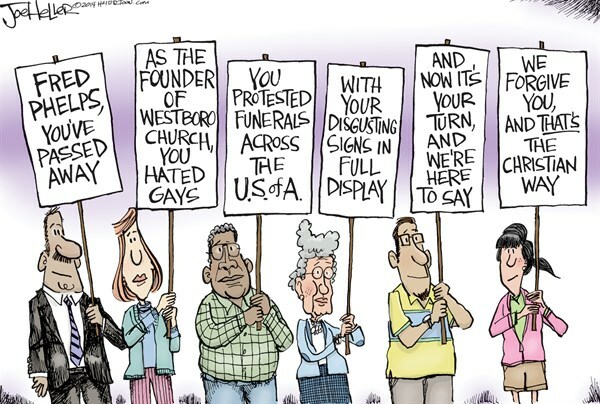 However, for the passing of Fred Phelps of Westboro Baptist Church a few days back, I’ll make an exception. 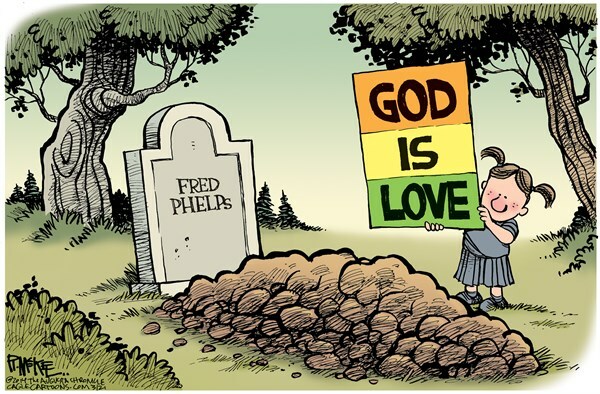 The kind of hate Phelps endorsed (as does the rest of his family/”church”) makes Christians as a whole look awful, but even worse, it seems to have given some a license to hate as well. 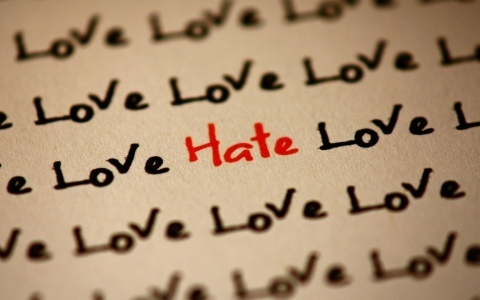 Too many churches seem to have forgotten that hate was not what Jesus taught, and that he was inclusive in his philosophy. Then again, so many now claim to know exactly what God thinks (Gosh, thanks, Fred, for letting us know that God hates America and gay people) that it’s hard for non-Christians, and sometimes even other Christians, to take them seriously. Joe Heller, Green Bay Press-Gazette. When I saw the alert from The Washington Post the other day that ol’ Fred was no more, my first thought was of him being denied at the Pearly Gates as God stood there ready to tell him what he really thinks. This is why a sense of humor is so important. 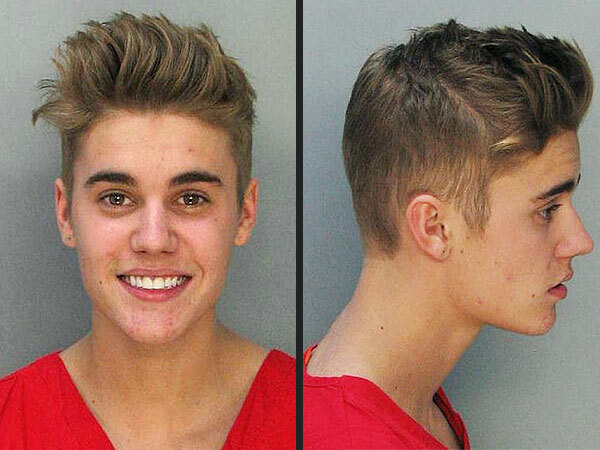 Otherwise you might not see these haters for the huge joke they are. I’m pretty sure, too, that God has a sense of humor. 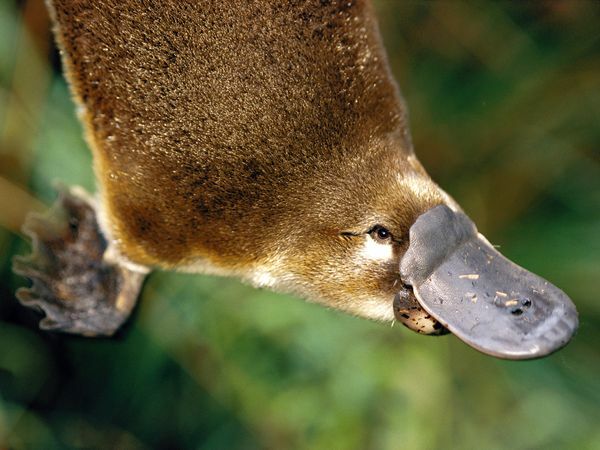 How else could you explain platypuses and Justin Bieber? Image by Nicole Duplaix, from nationalgeographic.com.